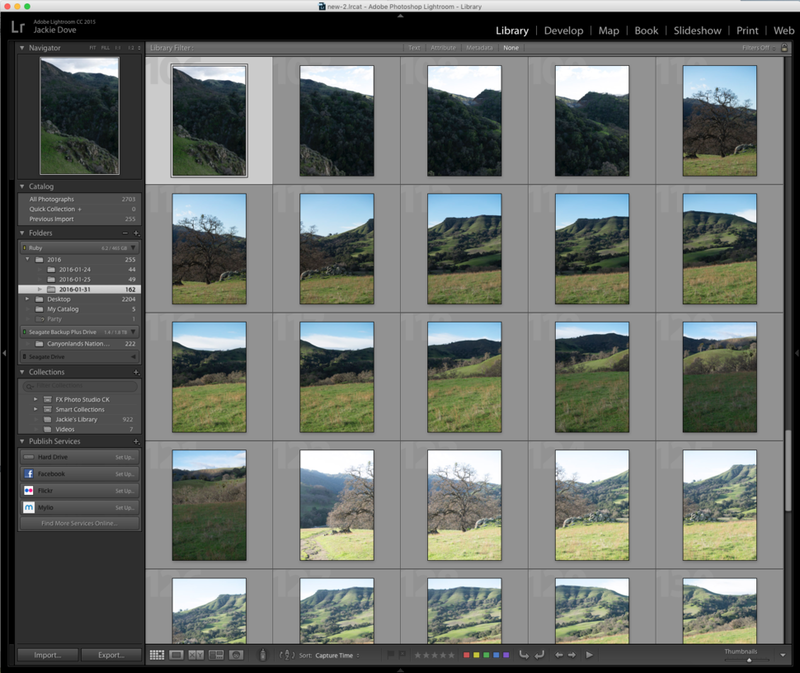 Adobe’s Creative Cloud update to Lightroom offers a quick fix for vexing pano problem. In a brand new update made available only to Lightroom’s Creative Cloud subscribers, Adobe has launched a feature that is sure to delight panorama fanatics: Boundary Warp. The object is to protect parts of a stitched image that would otherwise be cut off with a typical rectangular crop. 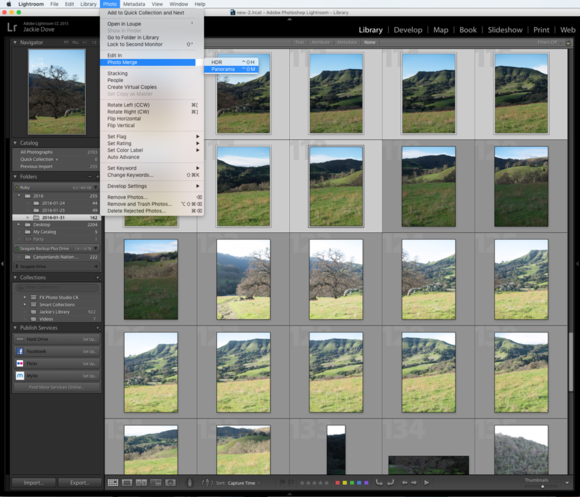 Lightroom’s Photo Merge feature simplifies the process of photo stitching, and the new Boundary Warp offers a greater degree of control than in the past. 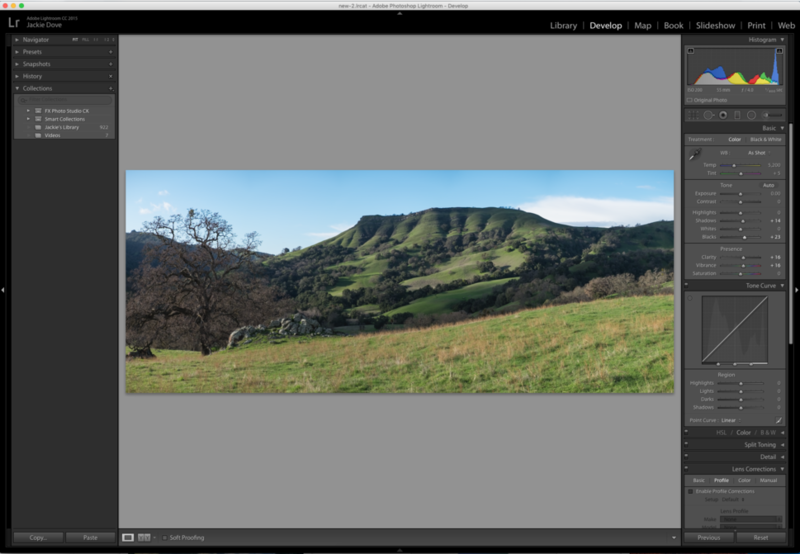 Even if you shot your images in vertical orientation with height in mind, Lightroom’s panorama feature might still cut off outlying edges of your stitched image. As you shoot, it’s sometimes hard to tell exactly what you’ll have to later discard. This oddly named feature restores full edge content to panorama landscapes. Here’s how to use it. 1. Launch Lightroom and choose the Library module to select the images you want to include in your pano. Import images directly from your camera card, Dropbox, or a folder on your hard drive. A panorama consists of two or more images, shot in sequence, which can be stitched together to display the kind of broad scenic expanse that the eye can easily perceive but which the camera does not automatically capture. You don’t need any special equipment or preparation to create a pano: Just use your favorite camera and a standard lens, choose a vista, and frame a series of shots as you gradually rotate your body. A tripod is extremely helpful for keeping each frame in alignment, but it is not strictly necessary. If your camera has a built-in level, that will work just fine, too. Choose the images you want to include from your Lightroom library. Vertical images are generally preferred for panos to capture as much height in the image as possible. Though Lightroom’s Photo Merge feature is designed to work with Raw files that offer enhanced flexibility and dynamic range, you can easily build a pano with either Raw or JPEG files. 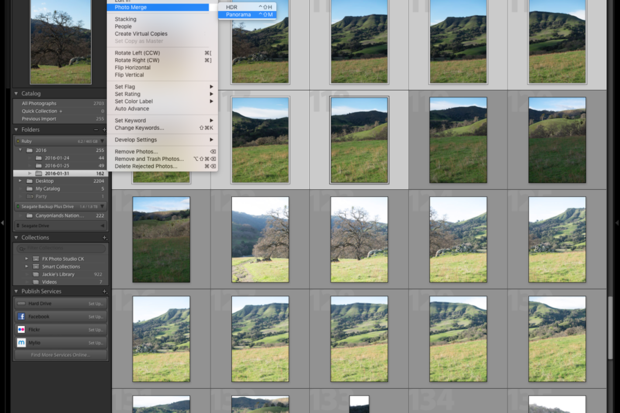 Note that your pano is not constrained by number of images you use, but by the output size supported by the app. Both Lightroom and Adobe Camera Raw have a maximum image size of 65,000 pixels on the longest edge or a total of 512 megapixels, whichever is reached first. 2. Once you have chosen the images, switch to the Develop module and find Photo > Photo Merge > Panorama. The Photo Merge tool has two built-in functions: HDR and Panorama, and you can choose to use both on your pano images. After selecting your photos, find the panorama option under the Photo menu. Bracketing each image will give you a choice of the best exposure for your pano, letting you use the HDR function to start off with the best images. But it is not strictly necessary. 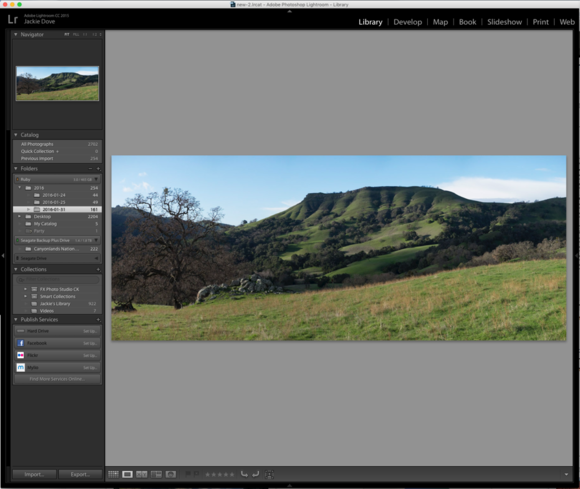 Tip: If you do use both functions, start with HDR first, and then follow with Panorama. But you can easily build a beautiful pano with a series of single shots, as shown below. 3. Choose a projection model for your final image. Lightroom’s pano stitching feature offers several options: You can let Lightroom automatically pick a projection model for you or choose one yourself. Beginners will do just fine letting Lightroom do the work, but a quick click through the different choices shows you a preview of what the finished sequence will look like with each. Auto crop will trim your picture, while shaving off some of its edges. 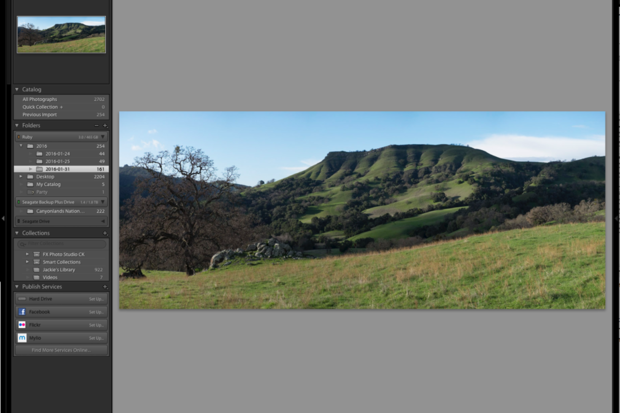 That may not be a problem for every pano, but if it is, Boundary Warp will come to the rescue. With Auto Crop selected, Lightroom will automatically trim your pano. No muss, no fuss. The Spherical projection is best for landscapes. It distorts the image as if it were based on a sphere. Most often, Lightroom will automatically pick this projection. 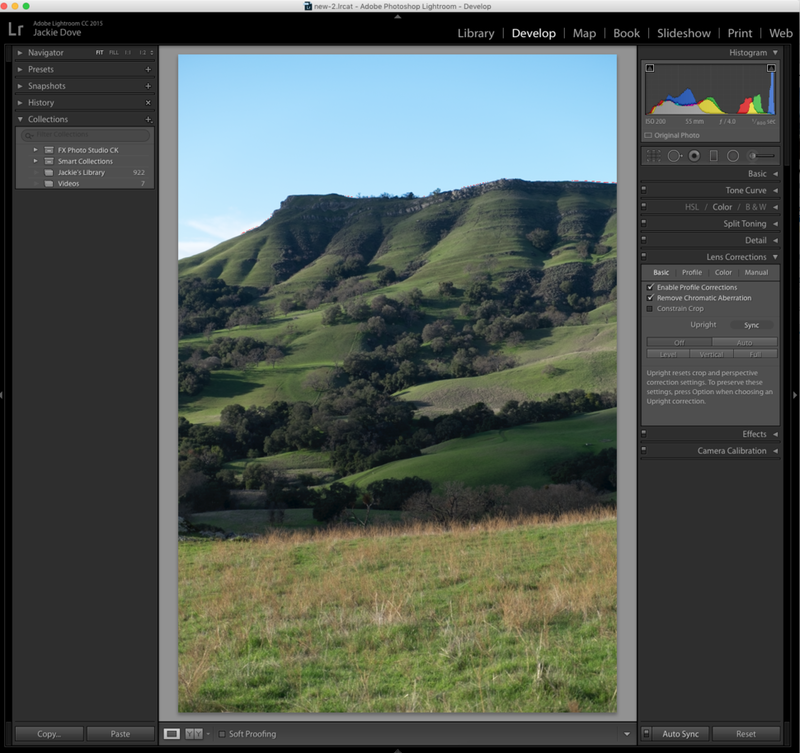 For most landscapes, Lightroom will automatically select the Spherical projection. The Cylindrical option is something of a hybrid that will try to keep the vertical lines of the image straight but may wind up distorting non-vertical parts of the image. The visual distinction between it and Spherical is subtle and which one you use depends on the image. There’s not much of a difference between the two choices in this shot. The Perspective choice is best for architectural renderings and buildings where you want to preserve horizontal or vertical straight lines. This model tries seeks a reference frame in the middle of the image to maintain all straight lines. Perspective actually works against the pano algorithm for landscapes. Because the algorithm is designed to maintain straight lines, a warp operation defeats the purpose. 4. Adjust the image manually by using the Auto Crop and Boundary Warp slider together. The slider preserves important information for the edges of the picture that you might otherwise have cropped out. But you may not want to restore every detail from the four corners of your image, so if you enable auto crop, you can move the slider to cover just the part of the image you’re concerned about and stop when you’re satisfied. Then click Merge. You can use Boundary Warp with Auto Crop or by itself, if you want to preserve edge content. 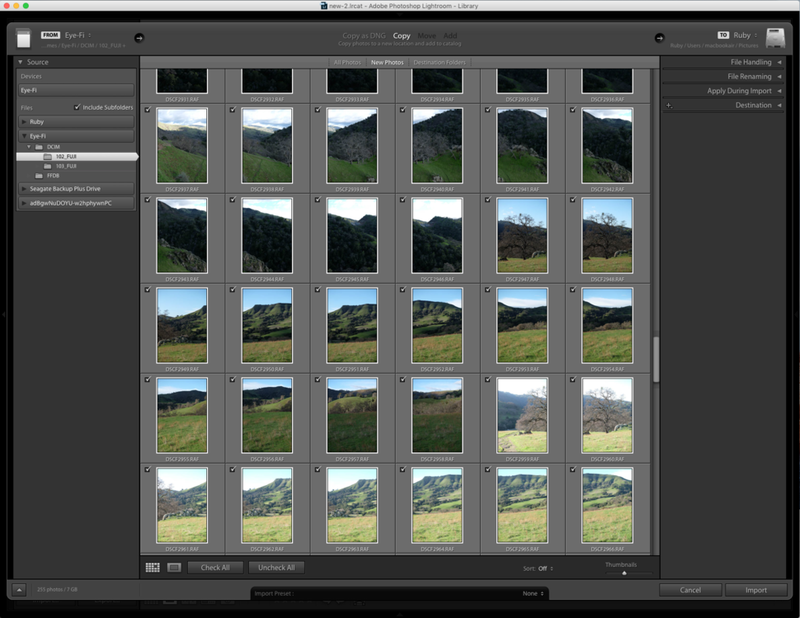 Lightroom will then process the pano and deposit it in your Library. Tip: Processing panoramas requires adequate disk space, so make sure you enough space on your hard drive for the function to work. 5. Finishing touches in the Develop module. Once you generate your panorama, it doesn’t have to end there. Sometimes, you’ll still need adjustments to exposure, contrast, sharpness, and other elements to make your image shine. Just access your image from the Develop module and proceed as with any other image. Fresh from the oven pano, you can tweak some more. Edited for Clarity, Vibrance, and Blacks. Normally, you don’t have to worry about lens profiles as Lightroom has so many built in that it will automatically choose the right one. Nonetheless, if you do get a Lens Profile error message, just check Enable Profile Corrections and Remove Chromatic Aberration in the Lens Corrections Basic Tab in the Develop module. The Profile tab records the default Lens Profile and other information. Don’t bother with Lens Corrections unless you get an error message. For certain camera models, lens profiles may not be visible to users. Try Boundary Warp out on some of your older images first just to check it out. I recruited some old JPEGs I shot years ago, and it worked nicely. Then, next time you try for a sweeping vista, remember to keep your camera at a vertical orientation, bracket each shot, use the Photo Merge > HDR function first on each frame, and then finish up with the Boundary Warp pano. Lightroom automatically recognized my camera lens. Photographers with a perpetual Lightroom license do not have the Boundary Warp feature yet, as it was released to Creative Cloud subscribers first. 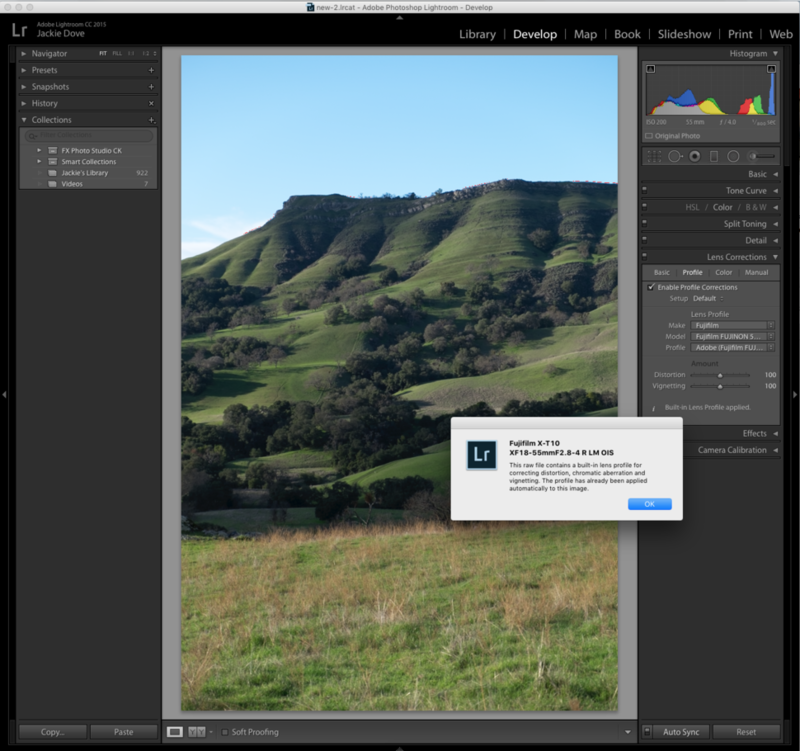 It will be available to everyone when Lightroom releases its next general update. Adobe is mum on exactly when that will be.